TheRustedChain - The Blog: When God yells at you. When God yells at you. Have you ever had God yell at you? It's a bit startling. It will stop you in your tracks. It's humbling. I can think of a handful of occasions when He yelled at me. So many people had asked about my journey to Nicaragua last year. Basically a random lady found me on the internet, and pestered me to go until I said yes. Click here to read the details of that. When I agreed to go, I knew I needed to raise money. Fast. By nature, I'm a very timid and reserved person. In a matter of an hour one afternoon, I designed a new bracelet that says Fear Less. The message was mostly for me, but I listed it to sell to raise money for my mission trip. Within a few days, I got an email from a lady named Kimberley, who had come across our bracelet listing on the internet. She knew that I was donating proceeds from that bracelet to help in Nicaragua, but had no idea that I was actually going. "I ordered two Fear less Bracelets. One for myself and one for my son's girlfriend. Well, actually, she was my son's girlfriend when he lived. He has been gone four years now. It is a perfect choice for a gift for several reasons. 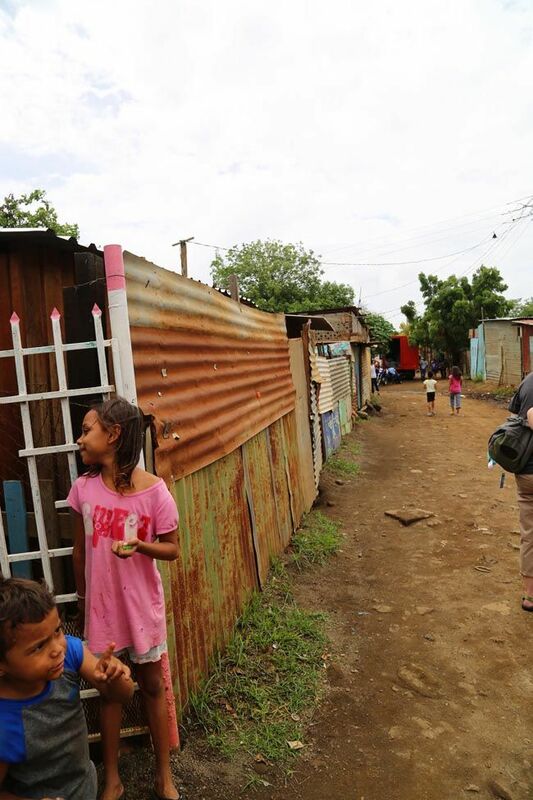 You see she and my husband and I (and lots of other people from our church) traveled to Nicaragua to help with a mission that works with the "dumpground children." We have seen it - and it is hell on earth. Thank you for using part of the proceeds to serve God's children there. Several weeks before he died he asked me to buy him Max Lucado's book Fearless. Which was odd, because he hated reading. He said the coaches were reading it so he wanted to as well. I am not sure how much he read...he did use "Fearless" as a meditation while running track for the two meets he was able to run before being diagnosed with a brain tumor his senior year. He was a boy with a lot of fears due to the abuse he experienced prior to us adopting him. He was an amazing, loving, forgiving, strong, sweet, boy who died "fearing less" thanks to his Heavenly Father. This is a phrase that has a lot of meaning to us. And it is a special reminder. Thank you. Your email stopped me in my busy little tracks. I, of course, tend to focus on the short term hustle and bustle. I'm running around like a mad woman, frazzled and stressed about my own little life. And this was exactly what I needed. It's easy to get caught up in jewelry orders and forget that there is a bigger purpose. So thank you! I am going to Nicaragua with the team this year. We leave next week. I so appreciate you reaching out, listening to God's whisper to contact us." "Wow! We are friends with almost all the people on your missions team! Richard from your team actually was my son's coach. I almost never share our story so it is strange that I even emailed you some of the details. I guess I thought it would just go to so random big company...but I am glad you actually read it now. I am certain God wants us to be connected." I don't know the end result. I can't see the big picture. I don't understand the purpose of all this. 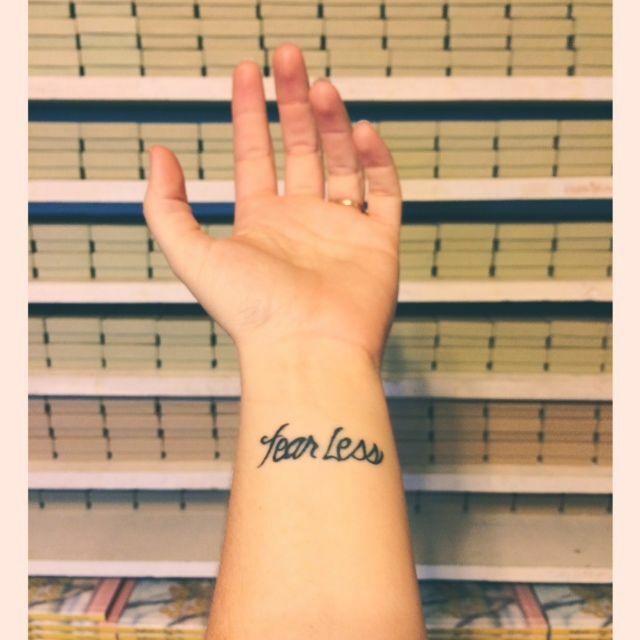 I've recently had the phrase Fear Less tattooed on my wrist so I can see it all the time. Sometimes God is silent. Sometimes He pesters you. Sometimes he whispers. And when He yells, there's no avoiding it. How exciting. I can't wait to hear more. I'm sorry. I didn't know about your son. That had to be really hard. My youngest was adopted and went through a lot of abuse. He still have problems but he is surviving. He is now 27 but he's mentally a lot younger.